And even that was hardly a feat. YHOO's 0.8% revenue gain beat Wall Street expectations. But, Wall Street didn't set the bar high with a projected 3.3% decline. 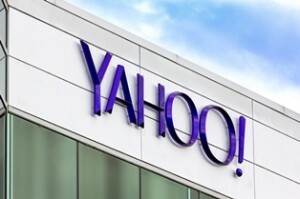 Still, in the call to follow, YHOO Chief Executive Officer Marissa Mayer was not short on praise for a "solid" report. But Mayer didn't mention YHOO's fifth straight quarterly loss in its primary business. Or that it has fallen nine of the last eleven quarters since she took the reins. She also ignored the fact that Asian investments have propped up its struggling segments. YHOO has a 35% stake in Yahoo! Japan and a 15% stake in China's Alibaba Group Holding Ltd. (NYSE: BABA). Since Mayer became CEO, those investments have generated income growth for 11 straight quarters. And that's what shareholders are focused on now. YHOO shareholders want to know Mayer's plan for YHOO's 383.6 million shares in BABA. Will YHOO effectively cash in on that remaining stake and give back to investors? This isn't the first time YHOO has tried to monetize its BABA stake. The partnership began in 2005 when YHOO bought a 40% stake in the booming Chinese e-commerce giant. Just as Mayer took over in 2012, YHOO sold half those shares for $4.6 billion. They promised $3 billion to shareholders through buybacks. They not only matched the $3 billion promise, but bought back stock to the tune of $7.7 billion. In addition to the sale of Alibaba shares, YHOO funded this using free cash flow, bond sales, and a hedge on the Japanese yen. Share buybacks would be a better choice than what Mayer could do – buy more companies.